The Virtuoso ALTO TROMBONE Player. Vol. 1. The Virtuoso ALTO TROMBONE Player. Vol. 2. 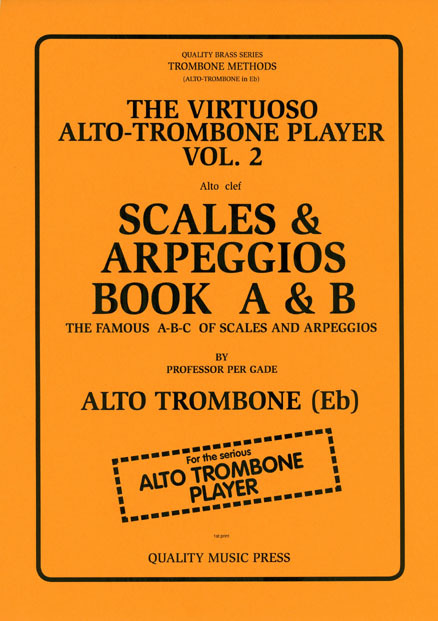 The Famous A-B-C of Scales and Arpeggios. Book A & B. (No. 1 of 2 books). (alto clef). 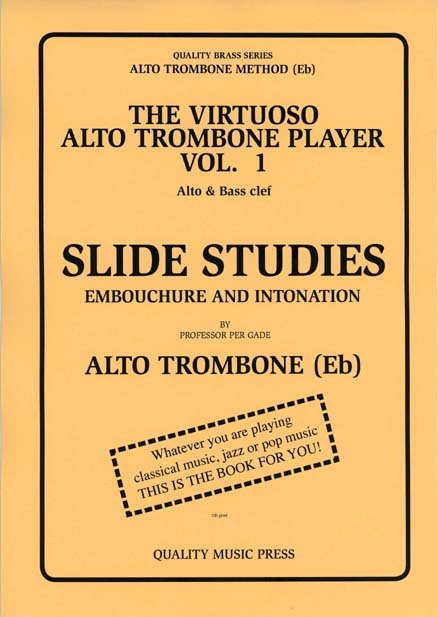 The Virtuoso ALTO TROMBONE Player. Vol. 3. 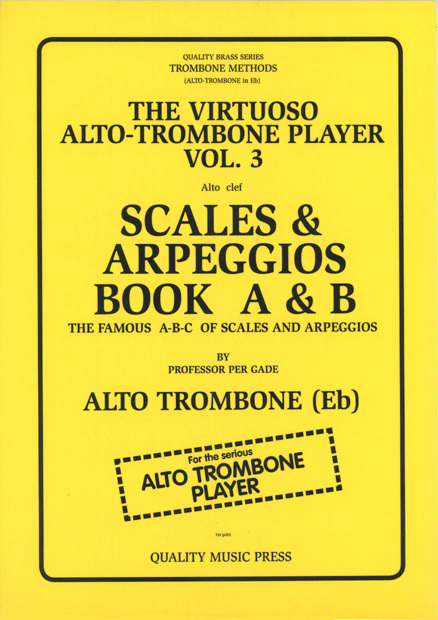 The Famous A-B-C of Scales and Arpeggios. Book C. (No. 3 of 3 books). (alto clef).